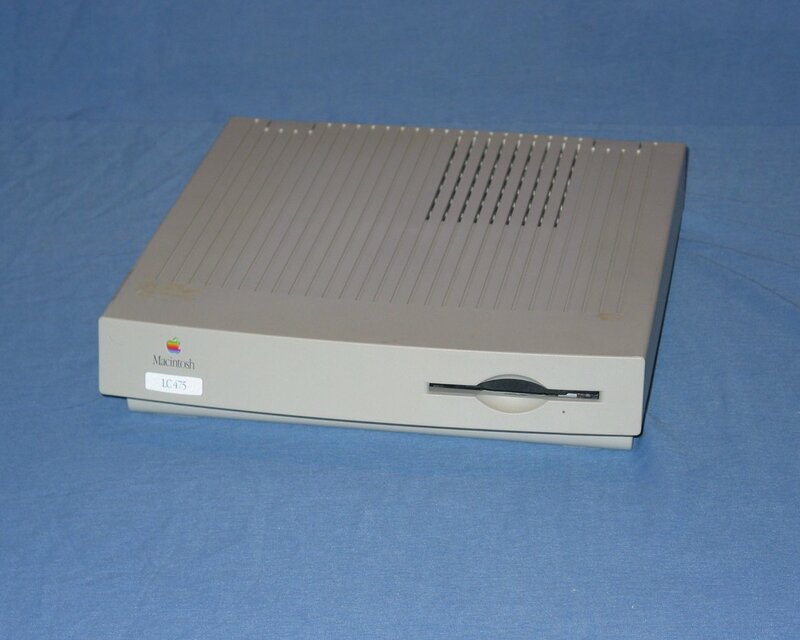 The AppleColor High-Resolution RGB Monitor, keyboard, and mouse for this system were obtained from a local hard rubbish collection while the system unit with ethernet adapter was purchased for $25 at a swap meet. I also added an extra 8MB of RAM from my pile of parts. The matching 8MB SIMM went into a friend's LC575 that his family still uses. I got this system with a wiped hard drive and after some failed attempts at using System 7.1 disks that a friend created on his LC 575 from his install cd System 7.5 was installed by downloading the disk images and a network access disk on a pc and transferring them across via a linux box running netatalk. 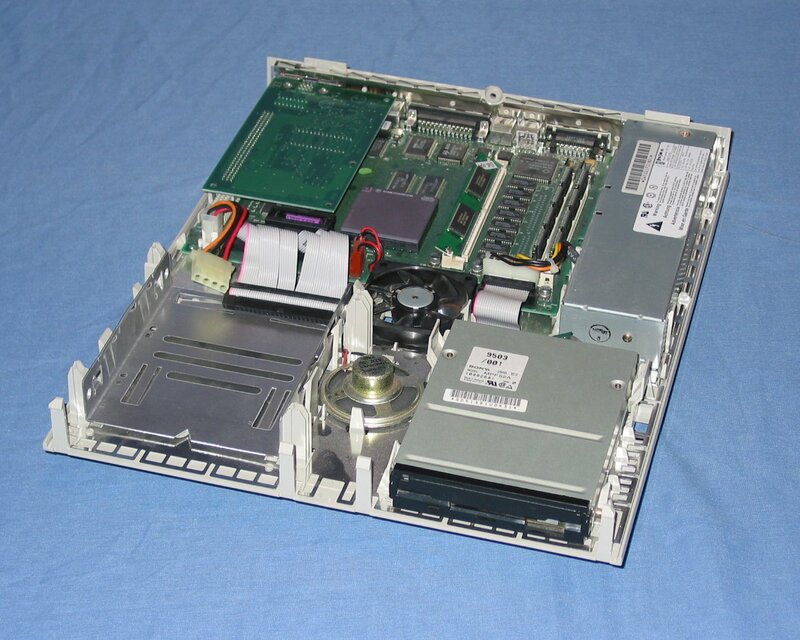 The front of the unit features little more than the manual inject floppy drive. Removing the cover exposes all of the internals which includes the drive bays, logic board and power supply.